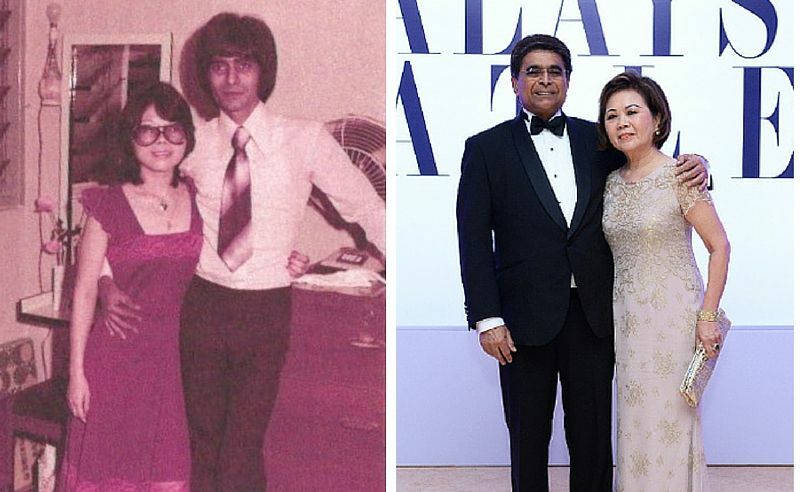 At a time when cell phones and emails were unheard of, the love between Dato’ Sri Jeffrey Raymond and Datin Sri Joyce Raymond blossomed through letters written to each other while living thousands of miles apart. In this three-part series, we speak to three society couples – who have been married for decades and are still very much in love – about how they met and what it takes to make relationships work. This is their story. Once in a while we come across a beautiful love story that could inspire the making of a moving movie. It tugs at the heartstrings and makes one believe in happily ever after. This is one such love story, the coming together of two strangers under strange circumstances over four decades ago. The year was 1970 and Dato’ Sri Jeffrey was about to embark on a month long journey via land to Germany from India. When he left Malaysia, it took him seven days to get to Madras and in his loneliness, he wrote a few letters to this lady he had just briefly met and posted the letter once he reached land. From Madras, Dato’ Sri Jeffrey travelled by train to Delhi for two days and then boarded a bus to the Pakistan border. There he hopped on another train to Lahore in Pakistan, crossed the Khyber Pass by lorry to get to Kabul. That’s where he picked up his first reply from Datin Sri Joyce. “I was overjoyed and replied her letter immediately, not without including my next destination – Alexandriapolis, Greece. We communicated frequently and I remember picking up her letters from Tehran, Rome and Munich, the final destination. It took him 29 days in all to get to Munich and he stayed there for a few months, working on the Olympic stadium with very good pay. “The only solace I had was the correspondence between me and Datin. And love too blossomed in our hearts unbeknownst to each other. When I came home at the end of 1970, I met her the very next day and discovered we were both in love. On December 21, 1975, the couple got married in a simple church wedding attended by family and close friends. Exactly one year later, they got married in church and had a little party in his house. Despite the hardship, Dato’ Sri Jeffrey says he must credit his wife for keeping them together and helping out with the finances during the early years. Dato' Sri Jeffrey Raymond and Datin Sri Joyce Raymond with their daughter Kim Raymond and son-in-law Keith Foo at the Tatler Ball 2015. The one thing Datin Sri Joyce still remembers about her husband when she first met him was his friendliness and ability to make people comfortable, something he still does till this very day. Dato’ Sri Jeffrey is a kind man, she says with great admiration, as well as generous and sincere to everyone, be it to old friends or new acquaintances.